Upgraded, move in ready home close to it all! 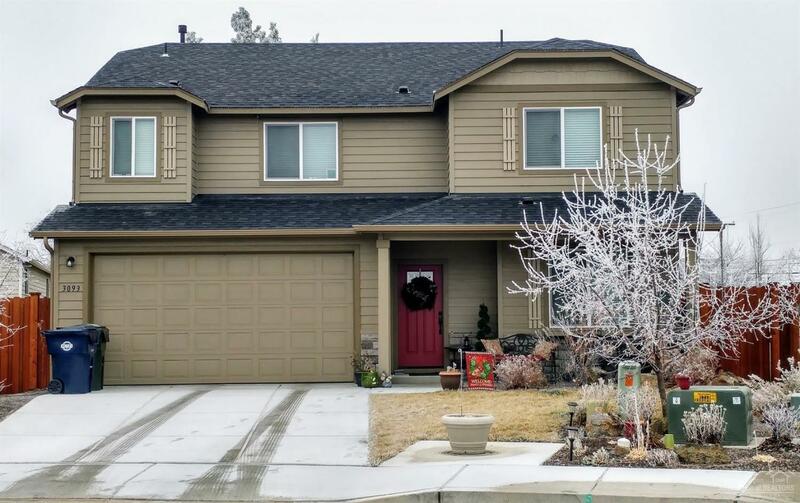 This well-maintained house offers 4 bedrooms, 2.5 bathrooms plus office/den on the main level and ample storage. Great room features new luxury vinyl plank flooring, high ceilings, recessed lighting, and a cozy gas fireplace. Stainless steel appliances, walk in pantry, tile counters, under cabinet lighting, and a breakfast bar make for a beautiful kitchen. Spacious guest bedrooms and a large master suite including soaking tub, separate shower, linen closet, and double vanity. Natural gas forced air with NEST thermostat and AC. Insulated, heated, 4ft extended garage with large ceiling storage rack. Beautifully landscaped, fully fenced, sprinklers, paver patio, new garden shed on concrete slab, and picturesque views Pilot Butte and Mt. Bachelor. Perfectly located close to restaurants, shopping and St. Charles Medical Center!